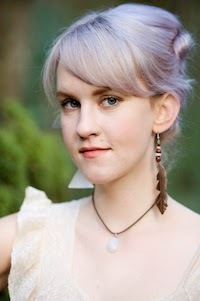 Johanna Warren is an indie singer-songwriter based in Portland, Oregon. Her voice has an otherworldly quality, and her music is serene yet utterly engaging. "Black Moss" is the opening track from her sophomore solo album, nūmūn, due next month from Team Love records. Although this entry wasn't the winner in NPR's Tiny Desk Concert contest, I've no doubt we'll be seeing her playing at Bob and Robin's desk in the near future.